Because Mr. JKilla's computer is broken, it's been somewhat of a ghost town around here. I thought I'd stop by and write some posts to keep everyone from going crazy and doing something drastic, so here I am. Moving right along, this weekend was Ultra Music Festival down in Miami. If you're like most of us and don't have thousands of dollars lying around to jetset off to Miami, you could lie to yourself and pretend like you were there by watching the live stream they had set up. 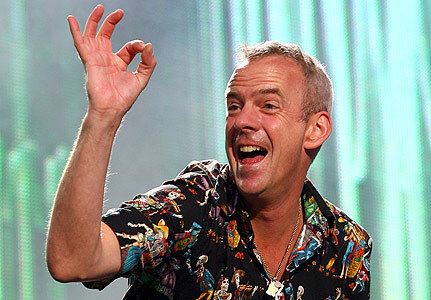 There were a lot of great sets by a lot of good artists, but one that I particularly enjoyed (and could also find a video of) was Fatboy Slim's. Blow up some inflatable palm trees, throw some sand on your carpet, crank up the video, and pretend like your in Miami. Spring break problems solved. You're welcome. I'll be on the lookout for more videos of sets I liked, but until them, peaceimouttahere. Dada Life March 2012 Mix!